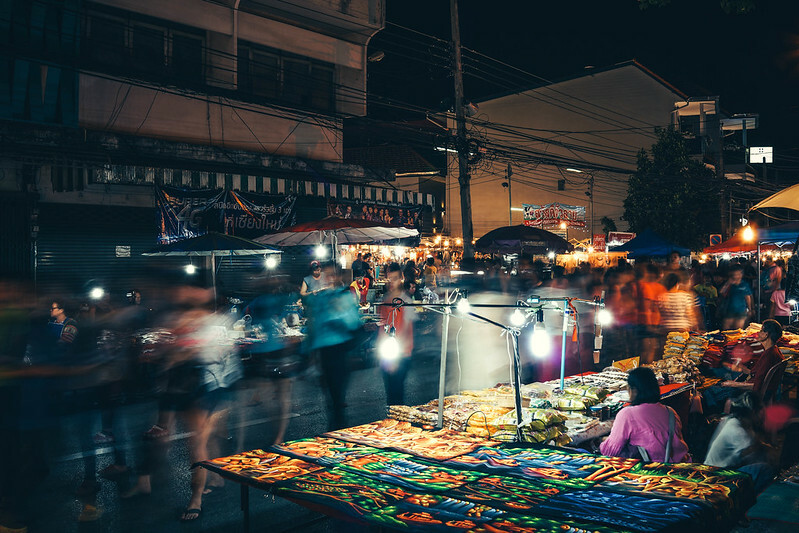 Visiting Chiang Mai, Thailand would not be complete without popping over to their famous night markets. 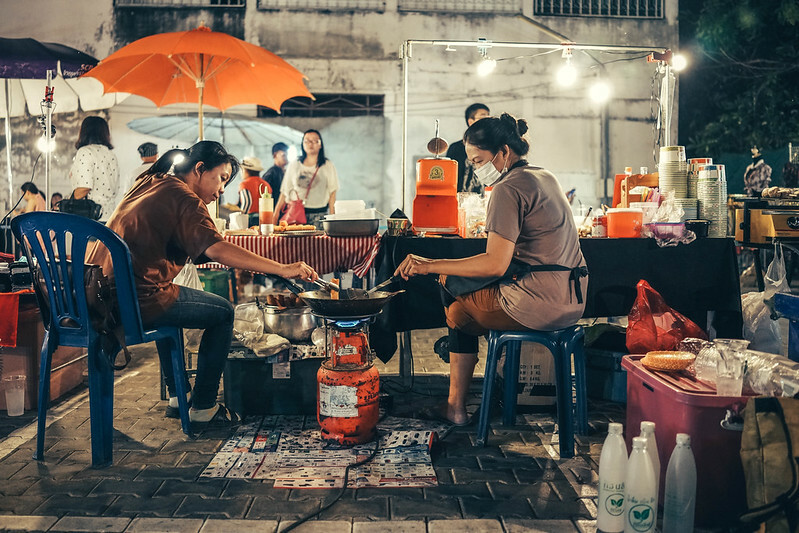 Every day, as the sun sets, watch as the intersection of Tha Pae and Chang Klang roads come to life with vendors setting up shops that stretches for several blocks. It’s the very picture of a shopper’s paradise. 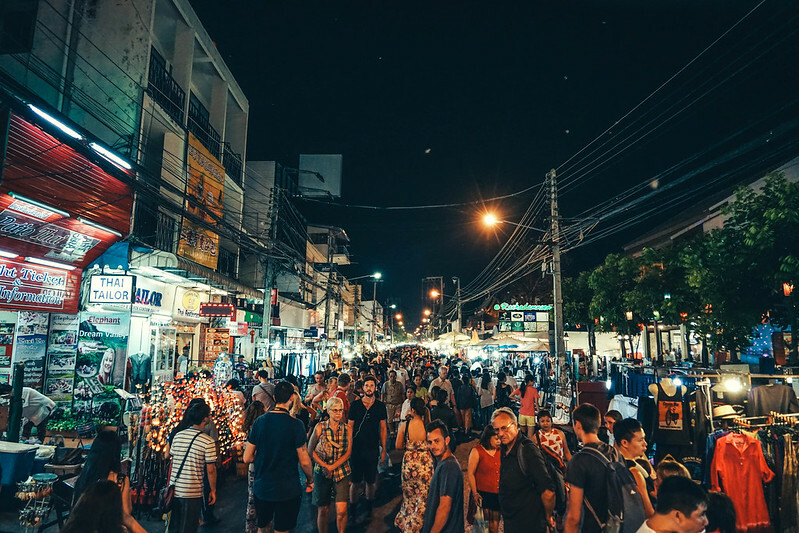 The convenient location is just a few minutes’ walk from many hotels, bars, restaurants, travel agencies, and other commercial establishments. 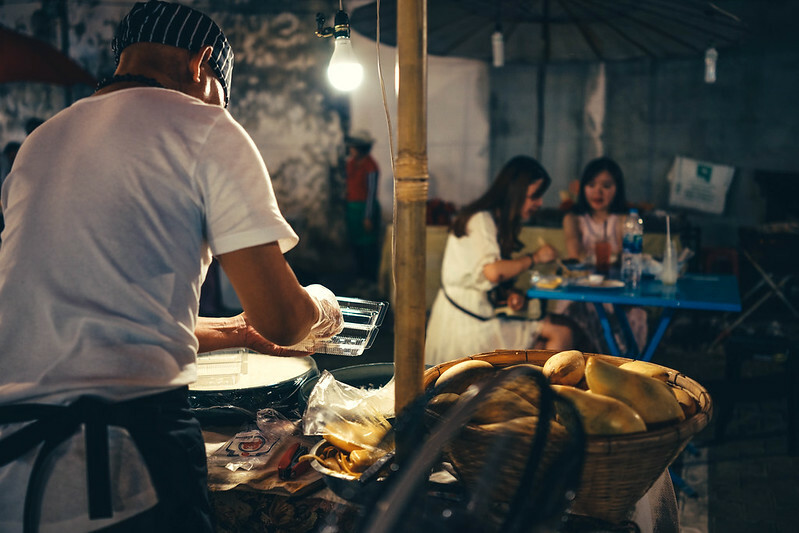 Aside from the nightly bazaar, be sure to catch their weekend markets as well. There’s the Sunday market along Ratchadamonoen Road, and the Saturday evening market along Wualai Street. 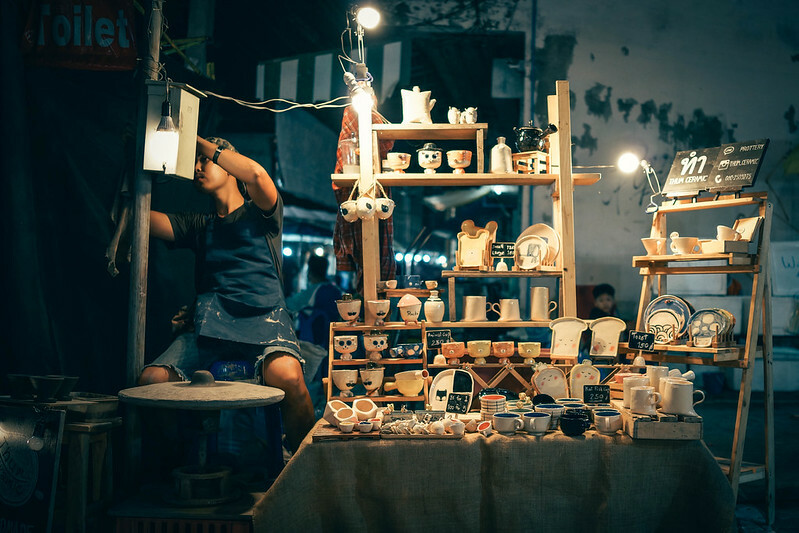 Another must-see is the two-level Vieng Ping Night Bazaar, where you’re more apt to find beautiful, local hand-crafted items at affordable prices. 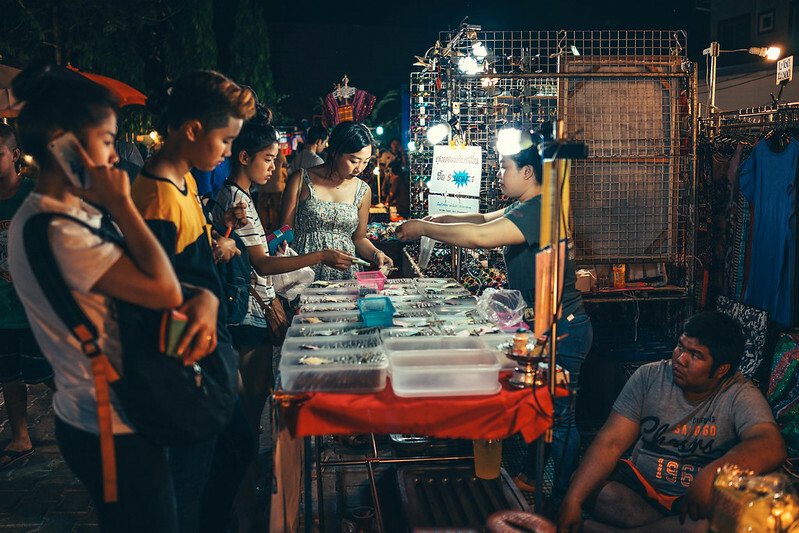 Chiang Mai night bazaar is a great place to snag cool items like wallets, watches, local handicrafts, jewellery, colourful knick-knacks, and even gadgets at low prices. 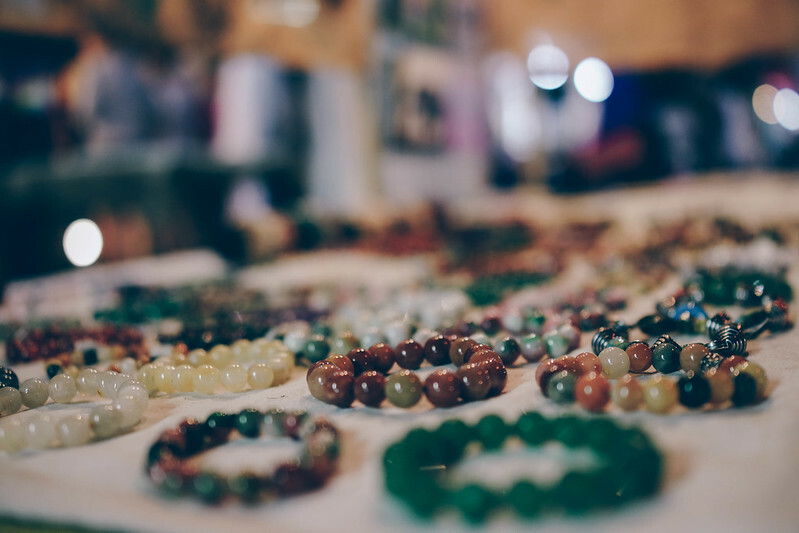 Once you see something you like, try to haggle! Be friendly and maybe even crack a couple of jokes to get the vendor to offer it to you at a lower cost. However, do keep in mind that they don’t earn a lot from their wares. Be reasonable and don’t play hardball. 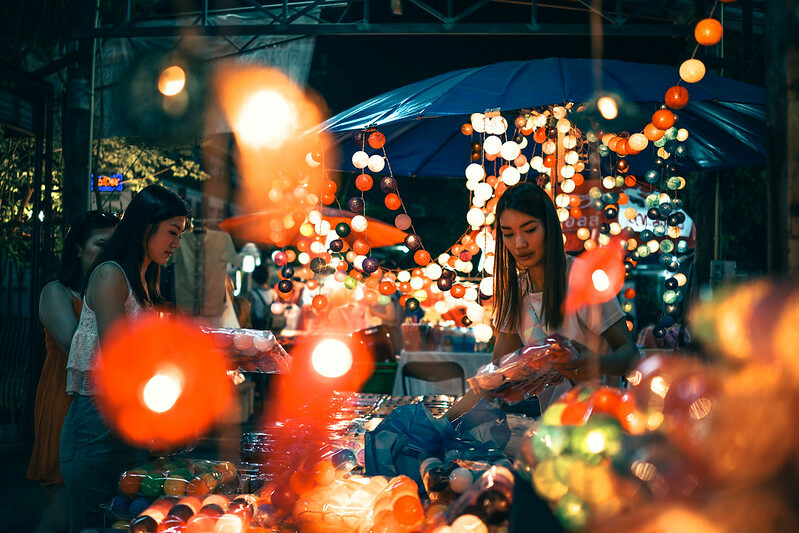 Some of the best souvenirs to buy from the Thailand night market include: genuine Thai silk and other textiles, sarongs, essential oils, meditation bowls (great for people who love yoga), triangle cushions (truly local and not mass-produced), soap carvings (perfect for gift boxes), and authentic Thai umbrellas (the bamboo ones are for use in the rain!). 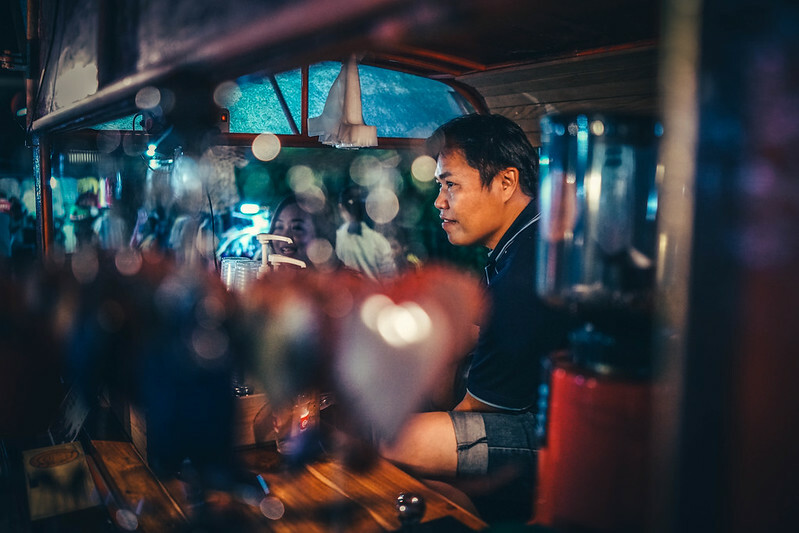 Close-up shot of a man working in a coffee shop in the Chiang Mai Night Market. 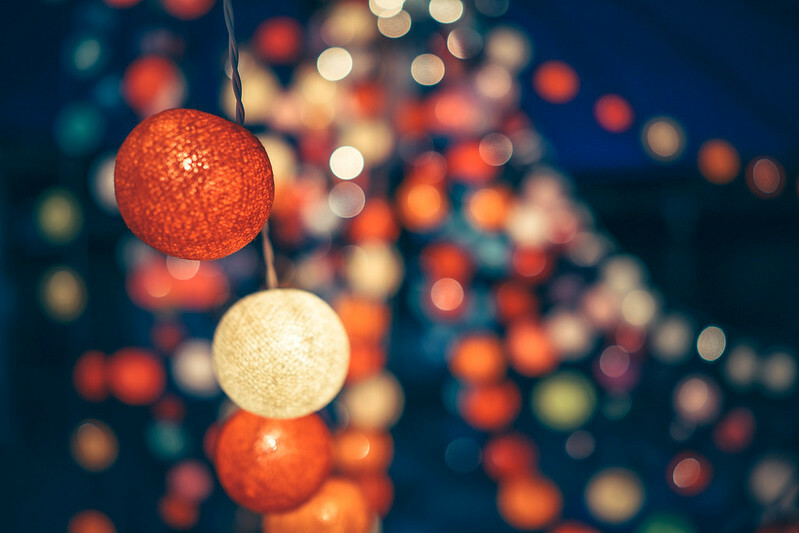 Close-up shot of three decorative lights with other lights out of focus in the background. 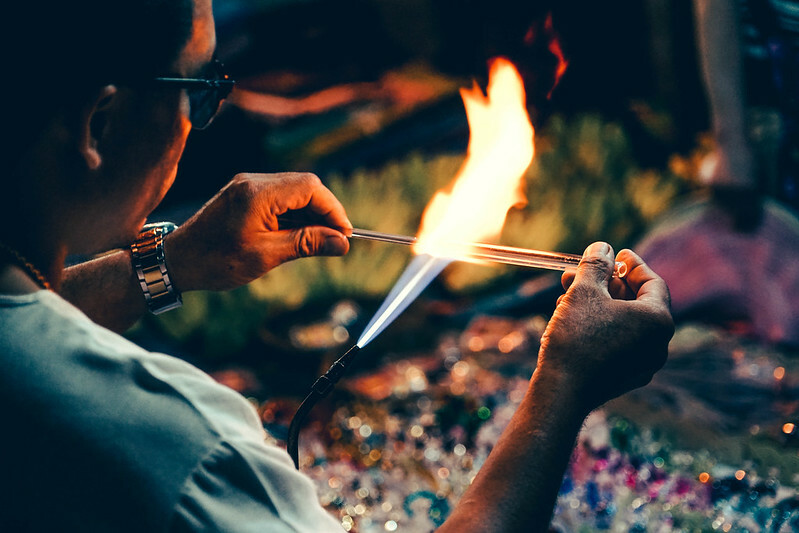 Man using fire to make glass jewelry at the Chiang Mai Night Market. 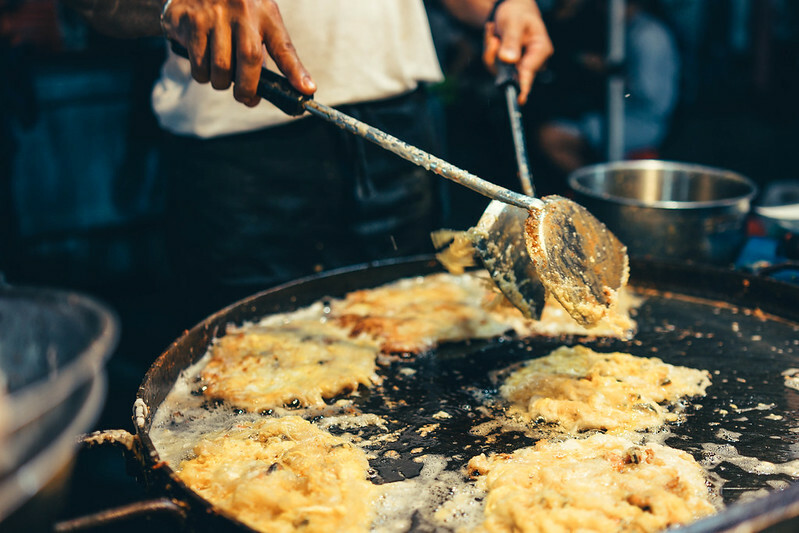 Close-up shot of a man cooking eggs at a night market food stand. 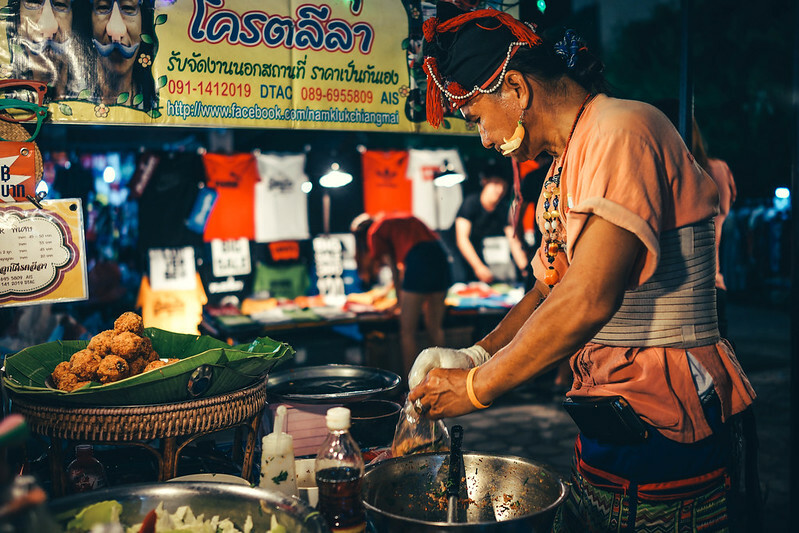 Street food stand with a man cooking behind it at the night market in Chiang Mai. 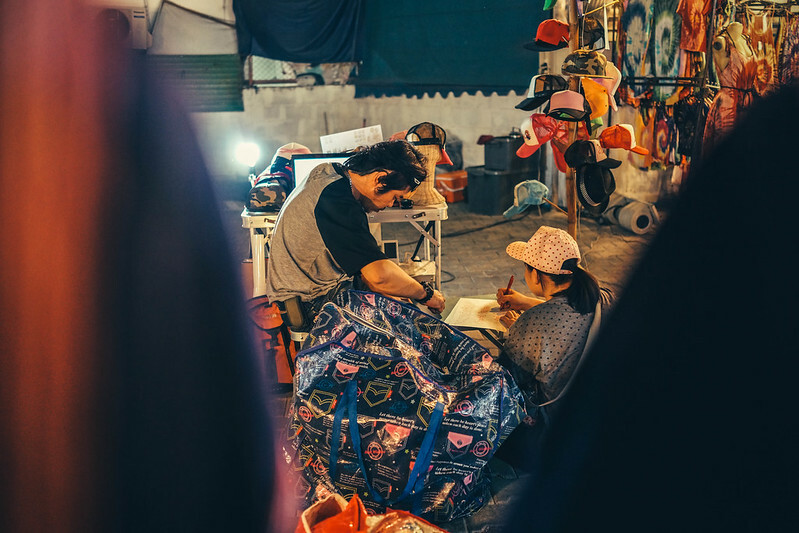 Two people drawing at a local shop in the Chiang Mai Night Market. This photo pack features 20 high-definition photos for personal or commercial use. 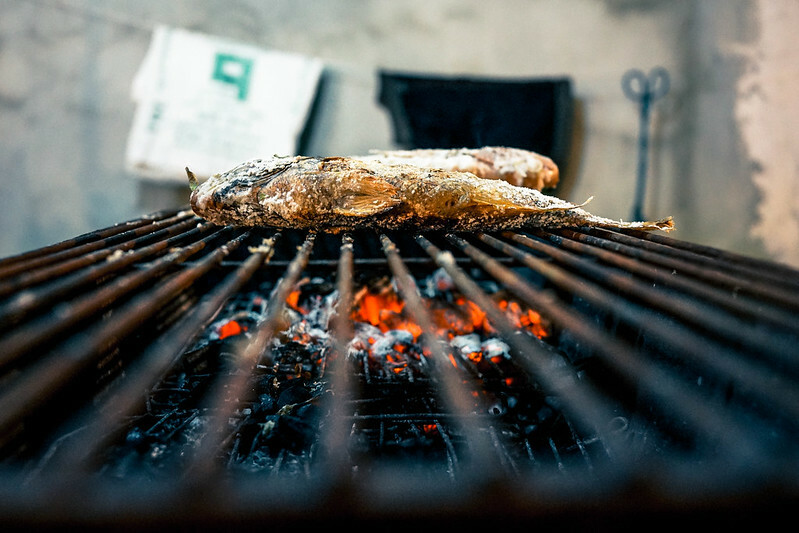 It’s great for blogs as a featured image or header, but would also look awesome on any article, editorial post, or professional presentation. 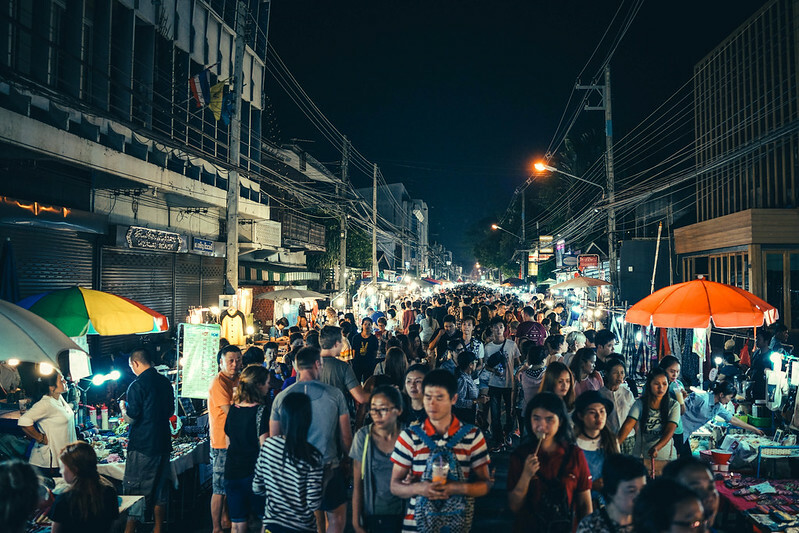 Want to relive the exciting world of the Chiang Mai, Thailand night bazaar? Let these high quality pictures take you back.